The MIHA Leadership is broken up into 3 logical groups: Executive Board, Board of Directors, and Districts. There are 8 members of the Executive Board, there are 20 District chairpersons that make up the Board of Directors, and there are 20 different districts each with any number of coaches, riders, and grooms. The Executive Board conducts the day-to-day administration of MIHA. They attend and run the monthly Board of Directors board meetings. 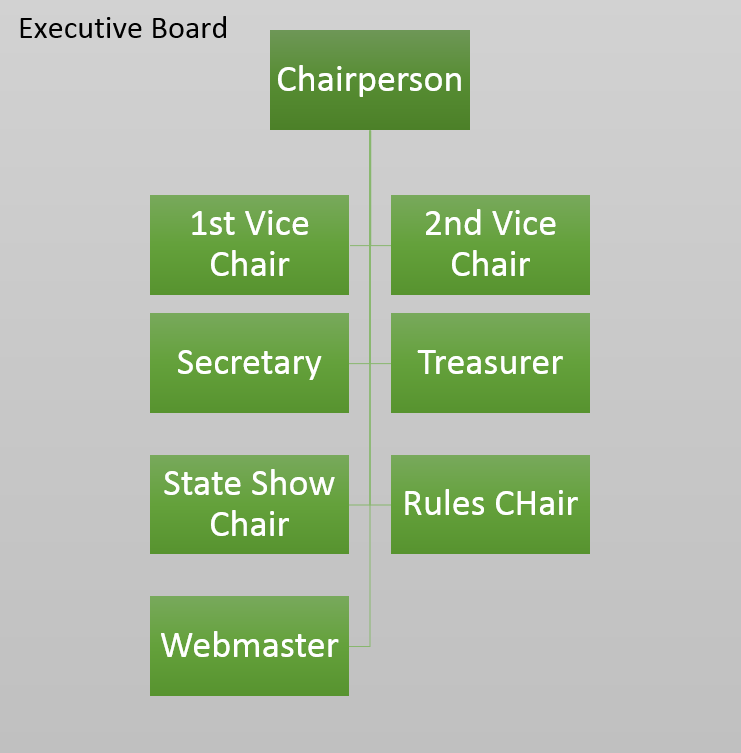 The Executive Board members, except the State Championship Show Chairperson, the State Rules Chairperson, and the State Webmaster are elected by the membership of MIHA (District Chairpersons, coaches, adult volunteers, riders and grooms). Officers of the Executive Board are elected to serve a term of two years with alternating elections of Chairperson and Second Vice Chairperson elected in even-numbered years and First Vice Chairperson, Treasurer, and Secretary in odd-numbered years. The elections are held each year at the Annual Winter Meeting. For Executive Board members and their contact information Click Here. 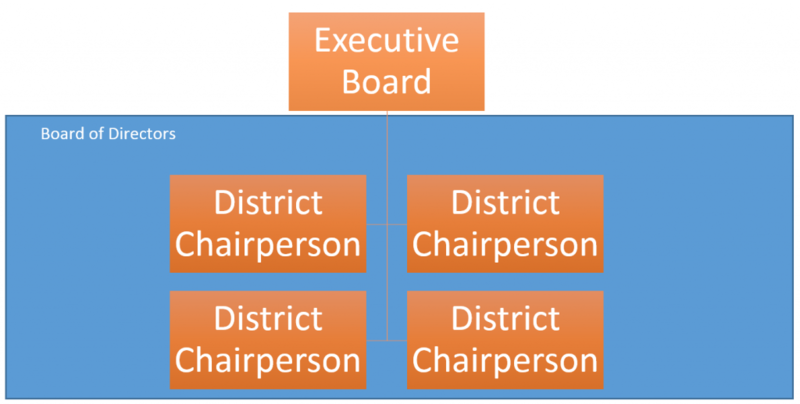 The Board of Directors is made up of the District Chairpersons of each of the 20 Districts that make up MIHA. They attend the monthly Board of Directors meetings. With the Executive Board, the Board of Directors make up the leadership of MIHA. The duties and responsibilities of the Board of Directors include policy making and determination of standard operating procedures for MIHA. As well as lead and manage the teams in their District. A District Chairperson is a registered adult coach, assistant adult coach or adult volunteer, who is elected by a majority vote, annually, of the registered adult coaches in their respective district. For Board of Directors members and their contact information Click Here. Each of the 20 Districts is made up of a District Chairperson, coaches for each team, and riders and grooms for the teams. Some Districts may also include other District officers to help run the District (e.g. Treasurer, Secretary, Assistant District Chairperson, Junior High Coordinator, etc). Coaches for teams may include a Head Coach and several assistant coaches and adult volunteers. All coaches and adult volunteers are registered members of MIHA. Participants on teams include riders, who participate in MIHA meets with their mounts, as well as potentially grooms. Grooms are registered members of the team, but do not participate in any classes.